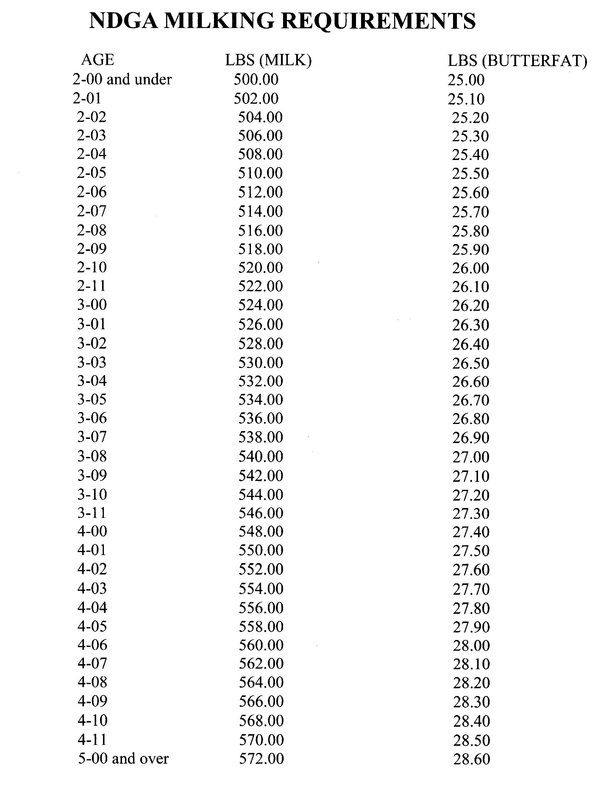 This chart shows the minimum amount of Milk and Butterfat required for a doe to earn a Milk Award while participating in a 305 Day test. The first column represents the does age at the beginning of her lactation. 2-00 = 2 years and under, 2-01 is 2 years and 1 month. The second column is the minimum pounds of milk a doe must produce in for her age, to earn her award for Milk.